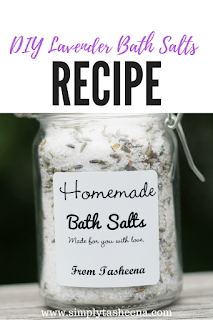 DIY Lavender Bath Salts Recipe + StickerYou Giveaway! This is a sponsored post with StickerYou all opinions are of my own and may differ from your own. 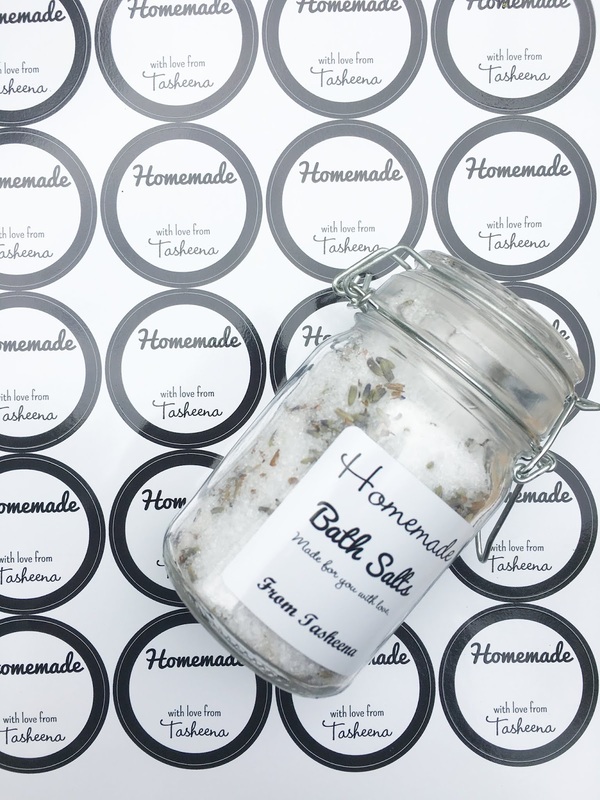 One of my favorite things gift which is a DIY project is a bath salt. I love how super easy they are to make and a lot of times you pretty much have all of the ingredients in your home without having to leave out of your home. What I also love about this quick and simple DIY is that it’s perfect for any time of the year and pretty much anyone. I love to change the bath salts them around and various dried flowers. My lavender bath salt is the number one recipe that my family/friends rave about. I love that I don’t have to worry about them expiring, they have a really good shelf life. Why not give someone you love the opportunity to pamper themselves with this amazing bath salt. Lavender has to be one of my favorites scents its something that the Mister loves as well. Lavender has so many amazing health benefits. I just love seeing the lavender floating in my tub. It's just so relaxing and it really gives the perfect touch. If you follow me on social media. Once a week I have an at-home spa day where I put together all of my favorite things. I have my little Mommy beverage whether it’s a glass of wine or my sassy spa water or even tea. Whatever I feel like having that week as well as my favorite snacks. It's pretty much my all-inclusive spa day at home. Why give that same experience to my friends and family. I can imagine that this is one of the reasons that they love receiving the bath salts as a gift because you're telling them to relax. You're telling them that they really do deserve some self-care. As you guys know. I’m all about self-care. I honestly believe that you cannot take care of anyone else until you take you're of yourself first. As a mom, at times it’s really hard to take time for yourself. However, it's so worth it! I noticed that after my spa days that I just feel so refreshed. Especially having my spa days on Sunday. It's like I'm ready to tackle the new week. What I also love about personalizing my gifts is the labels. There is nothing more than giving someone a personalized gift with a personalized label that really reflects how much the gift was made with love for them. My friends and family always rave about how it adds such a nice touch. I love keeping a stock of varies labels on hand when I create homemade gifts for my family. Whether I'm making party favor or personalized gift. I like to have my labels ready. I love ordering my labels from StickerYou. 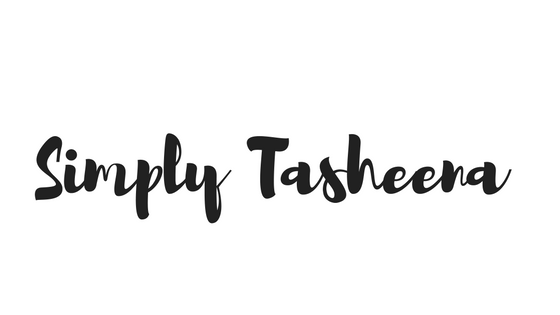 They have a wide variety of stickers from health, beauty labels, corporate and kids labels, to pretty much anything you could think of creating labels for. You can also order free samples I love that they offer templates and you can also create custom labels too. 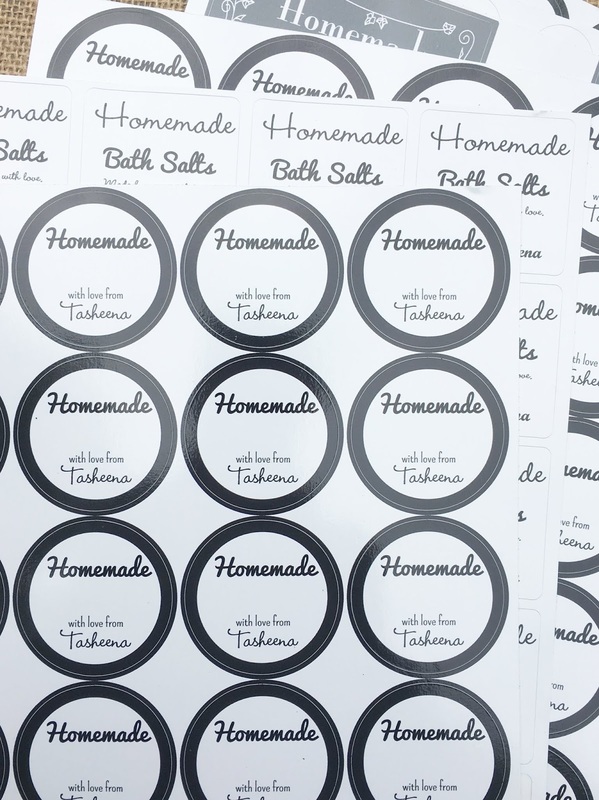 I created the labels for the bath salts using one of their templates. The process took under 5 minutes, and my order arrived super fast. In a medium-sized glass mixing bowl, add Epsom salt, almond oil and mix well. Add lavender essential oils and mix again. Add dried lavender and mix well. If you're thinking about creating more DIY products or adding labels to your business or pretty much anything in your home. My friends at StickerYou is giving away a $50 in products!!! I love bath salts. They are easy to make and make bath time so much more relaxing. I bet these smell amazing. I love taking baths and relaxing in my soaker tub. Such a great idea to make your own products to your own liking! This is one gift I love to give and to receive. Adding the sticker sets it apart. Lavender is a favorite so I will be making this soon. I need to make this. I really could use a nice bath. This would be an amazing scent. What a great gift idea! I need to make this and relax in the bath. Great gift idea! I don't get a chance to sit and relax in a bath very often and we have a jacuzzi in mine. I have to try and make these salts for a new experience. I keep saying that I would like to learn how to make my own Bath salts! I have yet to make any, but I love soaking in the tub and I could use some bath salts to go with it. 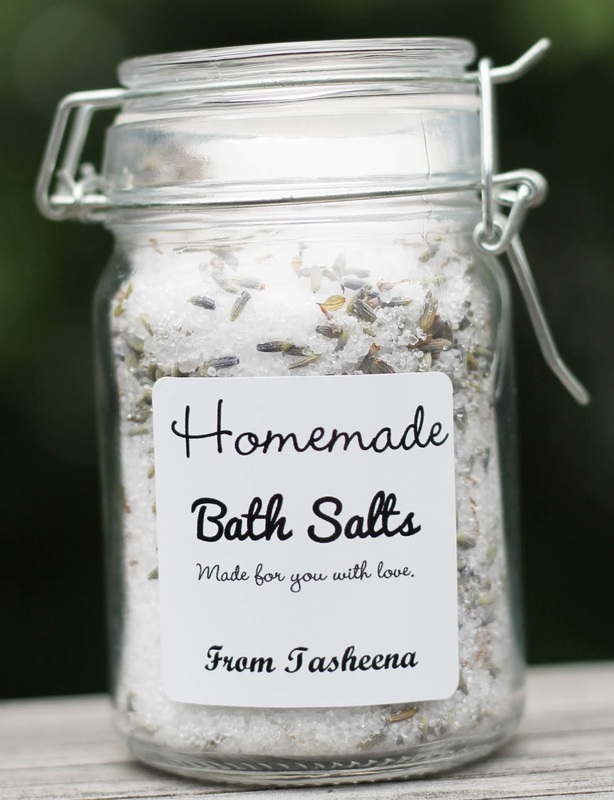 These homemade bath salts are an amazing and thoughtful gift idea. I'm looking for gifts for my daughters teachers as the school year winds down, and this would make a perfect gift. These would make a really nice gift. I'm always looking for new gift ideas and for new ways to pamper myself. I love spending my ME time on our hot tub. I want to try this home made bath salt. Rightnow i am using the store brand. I always love a lavender scent! I love soaking in the tub and having great smelling bath salts would be amazing! I have never tried making them on my own before. What a great idea - and so easy! This would make a great gift and something I would enjoy myself after a long day on my feet. Oh I love things like this in my bath. It is so relaxing with the scents! I love all things DIY and this is perfect! i can totally picture this in our bathroom. It’s very crafty and looks uber cute too. This is the perfect gift idea. I'm pinning this to make with my kids as gifts for family from them. Perfect! I love the scent of Lavender and I want to try your recipe for the Lavender Bath Salts. I had no idea you can make your own bath salts! Great idea! Labels are always fun, between having labels for my grandkids and also for homemade treats around the holidays it looks like this site has a lot of nice labels! Love Lavender, the scent is heavenly. I love bath salts but never made my own. This would make a cool gift! Recently changed my twitter from @MarianaCelezce to @TheskyishighCCC, I forgot and wrote it wrong! I am going to make this! I love soaking in a tub after a long day. Very nice DIY recipe. I could use this for a relaxing soak.